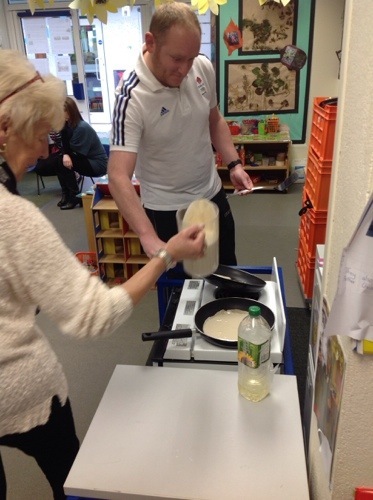 Mr Jephcott very kindly gave up his time to make all of Class 1 and Class 3 pancakes to celebrate Pancake Day on Tuesday. 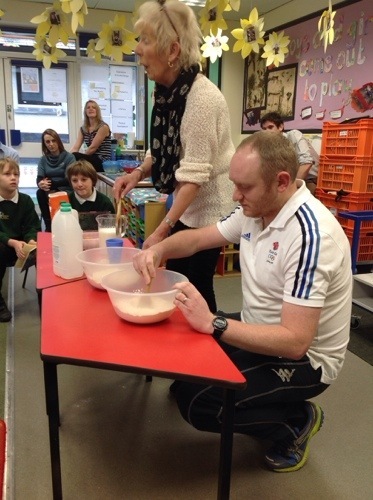 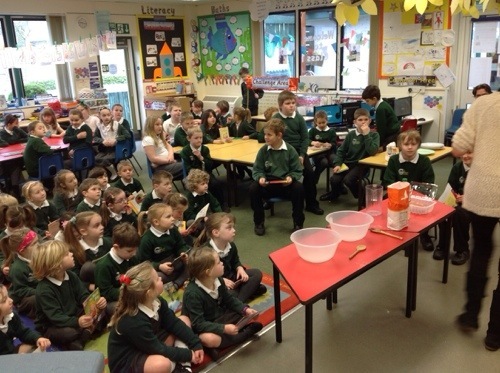 Each child watched Mr Jephcott and Mrs Burley sort out the ingredients to make the mixture to turn the batter into a tasty pancake. 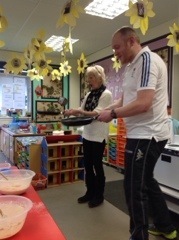 The children were spoilt for choice as they had many scrumptious fillings! 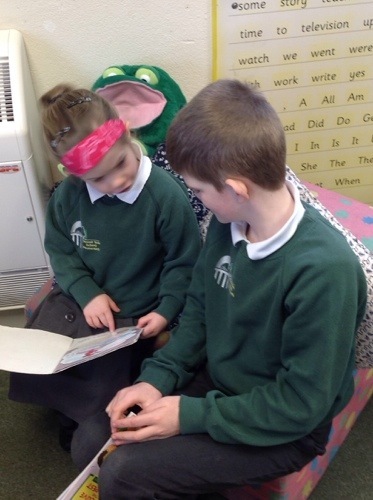 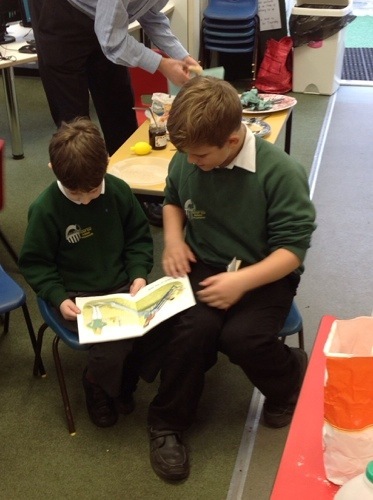 Whilst they were being cooked Class 1 and 3 shared their stories with each other.